Excellence abounds in another way, too, for the new Aquatics and Fitness Center, by virtue of it's being ''green.'' The center features the largest hybrid solar-powered electrical and heating system in the United States, the first to be installed at any University in the country. This design-build project consisted of an 87,000 square foot combined Aquatics and Fitness Center. This multi-purpose facility includes a large fitness loft for the students, three exercise/dance studios, a cafe/lobby, several locker areas, administration offices, a 12,000 square foot varsity strength & conditioning facility, and an NCAA regulation competition pool. Stephen Turner Inc. provided comprehensive commissioning services beyond that required for LEED fundamental & enhanced commissioning. The scope included pool pumping and filtration systems, power, district High-Temperature Hot Water, natural gas, and comprehensive utility metering systems integrated with the Universityês campus-wide metering network. 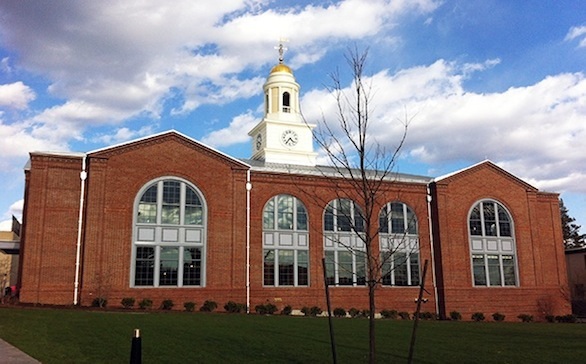 The commissioned systems also included a 400-ton magnetic bearing high-speed centrifugal chiller added to the district plant located remotely at Brown University's Central Heat Plant, as well as hybrid solar incorporating both photovoltaic and solar thermal panels. 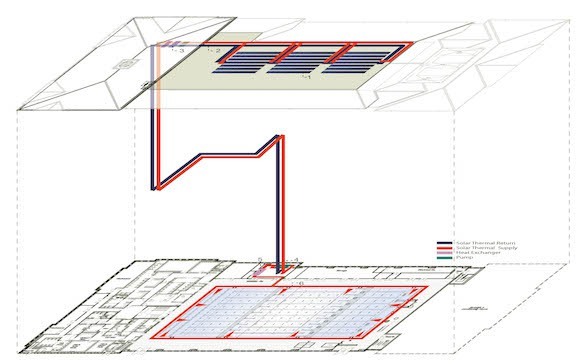 The photovoltaic arrays operate at 600 Volts with a single remote inverter interlocked with normal power at the main electrical service for the facility. Both the solar thermal arrays and the natatorium area dehumidification systems provide supplemental heating for the pool. Taken together, the building efficiency and on-site renewable energy features result in over 25% reduction in annual energy consumption compared to current energy code requirements. The highly technical commissioning process helped identify and resolve hundreds of issues from design through the first year of operation. Stephen Turner Inc. provided an electronic systems manual for use by operations and maintenance personnel. This single, hyperlinked file consolidates key operating information including colorized zone drawings, As-Builts, nameplate information, system descriptions, balancing reports, and functional performance test records.